Great news! 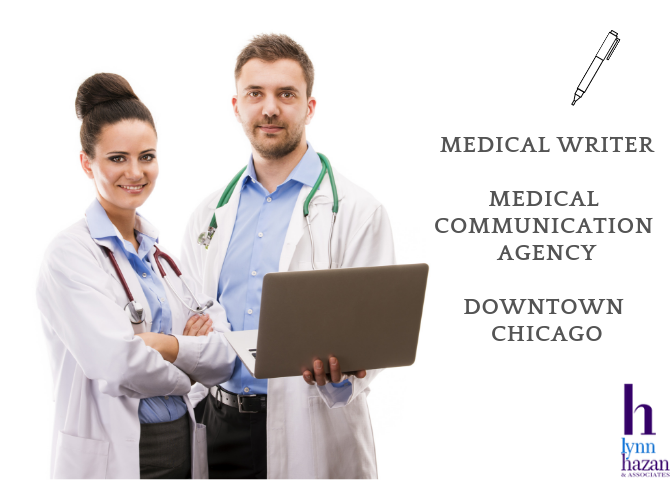 A medical communications agency in downtown Chicago is in need of a Medical Writer to join its dynamic team. Ideal candidate has 1-3 or 3-5+ years of experience. Translate medical and scientific language into dynamic presentations, working closely with the account team and designers. Unique environment and beautiful offices. Local talent please. See specs below. 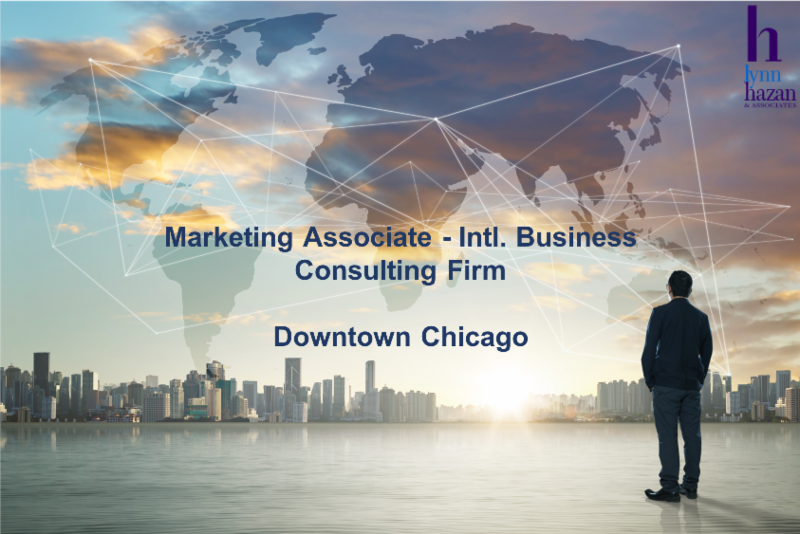 International Mk Specialist: Our downtown Chicago client is eager to hire a new grad or a candidate with 0-1 year of experience. Strong writing skills and social media expertise are very important. 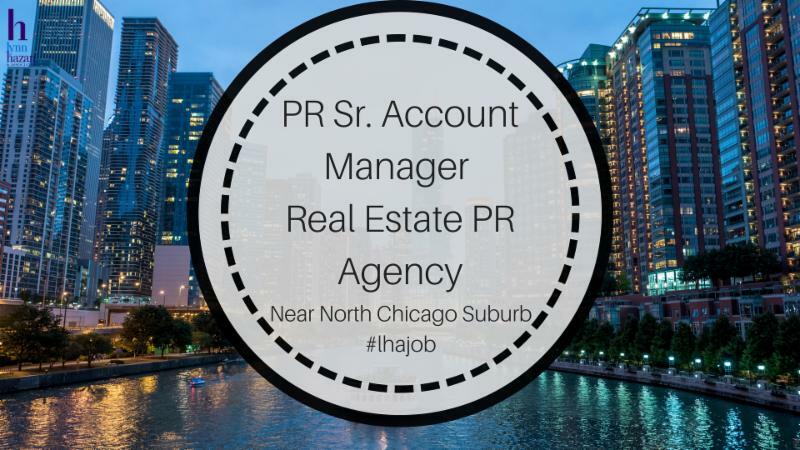 Sr Account Manager: Real Estate PR Agency: Core skills needed: Writing, pitching, and client deliverables. Put your experience to work with a great team of staff. LH&A has placed many of them. Our client keeps hiring because she keeps winning new business. 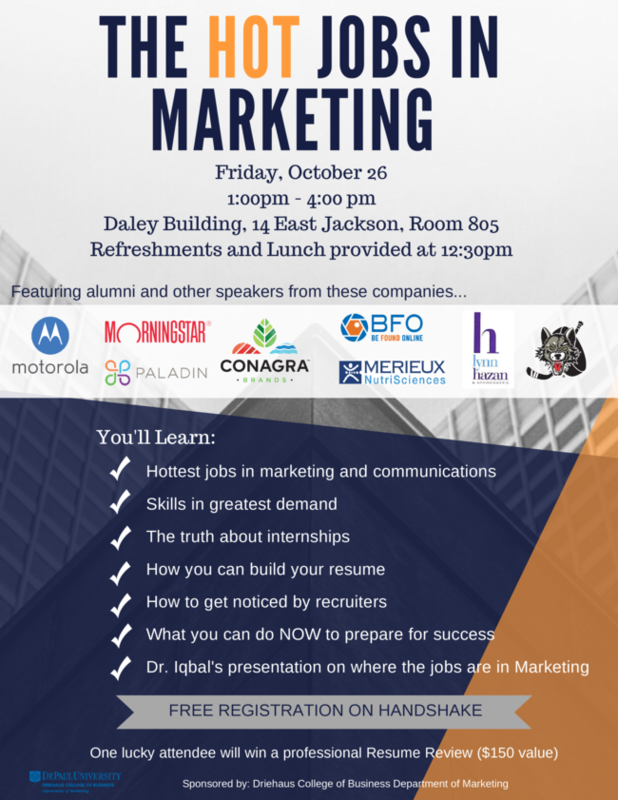 Upcoming events: DePaul University on Oct 26 for Hot Jobs in Marketing (for students and alums only). I’ll be presenting on internships. Save the date for the Chicago Innovation Awards on Oct 29. Want to volunteer for this event? 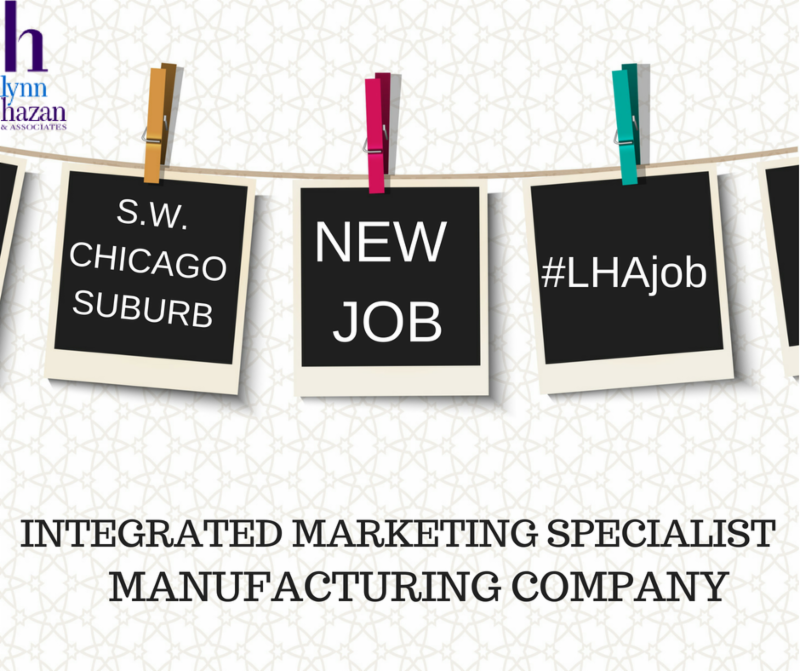 Contact Paul Kitti at Chicago Innovation. Best networking event in Chicago on Oct 22 with Around Chicago Live. Career Consulting Services: We have enhanced our services to provide you additional support on your job search. Resume Review: $150. One hour. Includes complimentary follow-up phone call to review revised resume and Resource Kit, for total $200 value. Empowered Job Seeker: $300. Three hours. Complete package includes Interviewing, Job Search Strategies, Networking, and Resume Review. $500 value. Also includes Resource Kit. Take advantage of our limited-time offer! Use code “HELLOFALL” and get $25 off on all consultation services. Offer valid thru 10/31/2018. Notice: As long as you contact us and make an appointment by 10/31/2018, you can still get the offer! 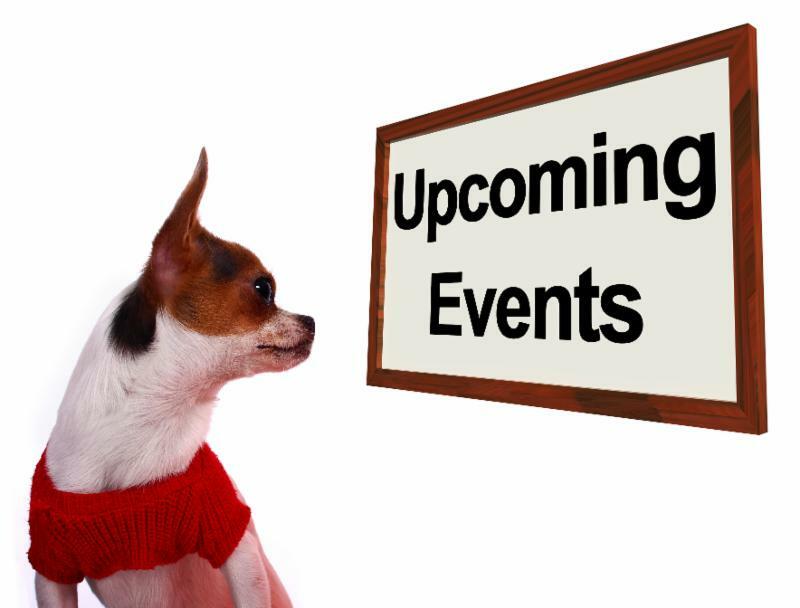 Scroll down for details and for our job openings, career consulting services, events, and free webinars. Are you interested in international business? Eager to showcase your writing, research and phone skills? Curious how businesses enter foreign markets, identify new opportunities, and make effective decisions? Speak a foreign language? 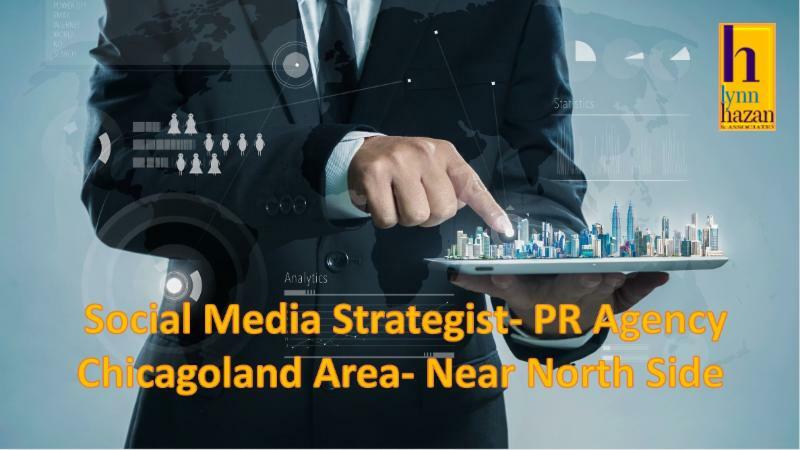 Click here to read more..
Are you a Social Media Strategist? Have experience in creating unique content to maximize engagement on social media platforms? Do you enjoy pitching to prospective clients? Have you consulted with clients to determine social media best practices? Are you a pro on platforms, including Instagram, Facebook, and Twitter? Want to work full-time, part-time, or temp to perm? Click here to read more.. Client is a boutique, family-friendly PR agency with flexible hours. Strong emphasis on creativity, integrity, determination and fun. 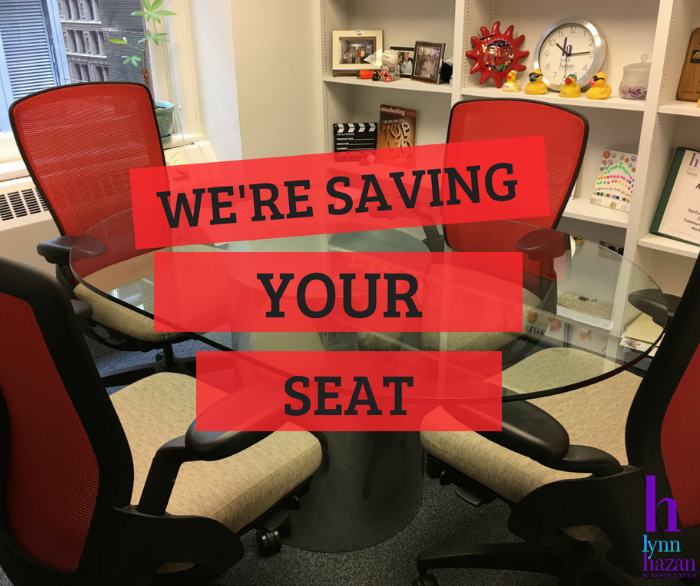 Are you an experienced PR professional with a passion for writing/editing and pitching? Do you have a nose for news and solid foundation of working with clients? Track record of successful placements? Digital experience? 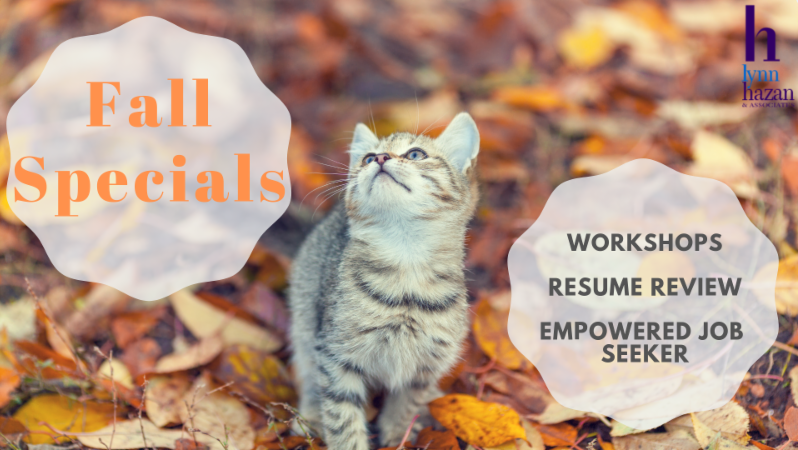 Take advantage of our Resume Review and Empowered Job Seeker Fall specials. Use code “HELLOFALL” to get a limited-time offer of $25 off. Valid thru 10/31/2018. Readers of the LH & A blog will automatically receive a $250 discount for participating in a Ragan conference. Job searching doesn’t have to be hard and defeating. Come find out how to be an UNSTOPPABLE SOURCE of POWER in achieving your goals. GET FOCUSED: A clear focus allows to be super-effective as you to aim directly for your goal and course-correct as necessary. ACCOUNTABILITY MEASURES: The right thinking and right actions lead you to the right results! Measure it and you get better and better. REACHING for EXCELLENCE: You are the only authority in your life. Do your personal best every day! There is so much happening in our lives today, that it doesn’t take much to knock us off-track. This webinar is uplifting and empowering! 3. Presentation Title: Is it Time to Consider a New Career?